A portfolio of Land Surveying projects BRH has completed for healthcare organizations and facilities. BRH has performed several surveys for this north Seattle hospital including a campus-wide topographic survey, and a campus-wide ALTA. We also mapped the new Surgery wing and Outpatients facility. Recent work included an easement ALTA and mapping on Meridian Avenue North. Our multiple surveys for Providence included boundary and topographic surveys of the Colby Campus and surrounding neighborhood, up to 10 street blocks off campus. We also prepared legal descriptions of the entire campus, including the new hospital building to the north, and parking area to the east. We have served the hospital since 1993, providing topographic and boundary surveys, as well as mapping of complex underground utilities and tunnel systems. Our topographic surveys have covered approximately 75% of the entire campus area, and around 65% of the entire utility network. 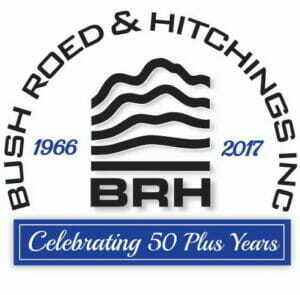 BRH has served this healthcare provider since 1987, delivering over 60 survey assignments. We have surveyed approximately 70% of the entire Seattle campus, and also provided several boundary and topographic surveys for the Ballard campus, and for Providence-Swedish Health Alliance facilities. Fred Hutch is located in South Lake Union. BRH’s original boundary and topographic mapping covered 20 parcels. Five phase services followed including boundary, topographic, as-builts, boundary line adjustments, and easement descriptions. The end result was a 28-acre map of the entire campus and surrounding area. BRH has been surveying on this 250-bed hospital since 1989 when we provided topography for a renovation project. Since then we have provided a variety of survey services, campus-wide, serving the growing hospital. We are currently providing construction surveys and monitoring.